The more foster homes we have, the more dogs we can save! We understand fostering a dog is a big commitment and may not be the easiest thing to do. It’s easy to settle into a daily routine and not want to take on an additional responsibilities. 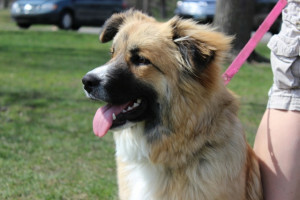 There is an orphaned Pyr who very much needs to settle into your routine with you too, to help them find a forever home. By having a foster dog spend time with you, your pets,and family members, it helps us understand what type of home is best suited for each dog, along with their individual habits, quirks and traits that make each one unique, so we can share that information with potential adopters. It also teaches the dog how to properly behave in a household, which will make them more adoptable. By fostering a dog, you provide invaluable care, nurturing, guidance, and structure that cannot be purchased or replicated in any kennel environment. We provide all medical care- you provide the food and love! (Crates available too if needed) We so appreciate those of you who have fostered for us in the past, and those who are continuing to do so. Please help a homeless Pyr by opening your heart and home to them. If you can foster a Pyr, we’d love to hear from you! Send us a note with Foster Volunteer in the subject line to info@igpr.org.